When you first get your dog or puppy and take her for her first visit to your veterinarian, be sure to bring along the health records the breeder or previous owner gave to you. 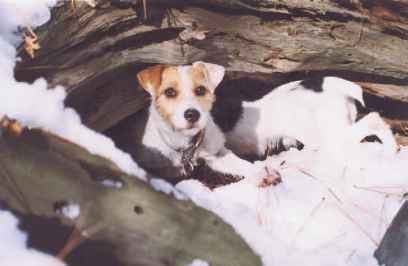 These records should reflect not only the vaccinations your dog has received, but also a schedule of dewormings. Also bring with you a fresh stool sample for analysis. The vet can quickly diagnose what, if any, types of worms your dog is harboring, so treatment can begin right away. Please do not think that over-the-counter remedies for parasites will work properly. Only your dog's veterinarian is qualified to diagnose and treat parasitic infestations. Medicating your dog yourself can cause you to lose precious time your vet may need to help your dog or puppy, or even save her life. Improper use of worming medications can be toxic if given incorrectly. Always consult with your veterinarian regarding control of internal parasites. The best way of controlling internal parasites is cleanliness. 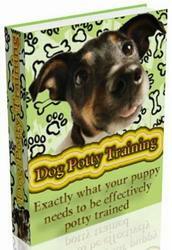 Always keep feces picked up and keep your dog free of fleas. Maintain a clean and dry environment to discourage the further development of eggs and larvae and disinfect dog areas. A solution of three cups of bleach to one gallon of water is a good disinfectant to use.